Dr. Merle Jensen is the founder of the Controlled Environment Agriculture Center (CEAC) and Professor Emeritus of Plant Life Sciences at the University of Arizona, USA. He has worked in the field for over four decades and has supported agricultural programs in over 60 countries around the world. While interacting with ICBA’s management and scientists, he expressed his admiration for the center’s 20-year-long service in marginal environments of the world. 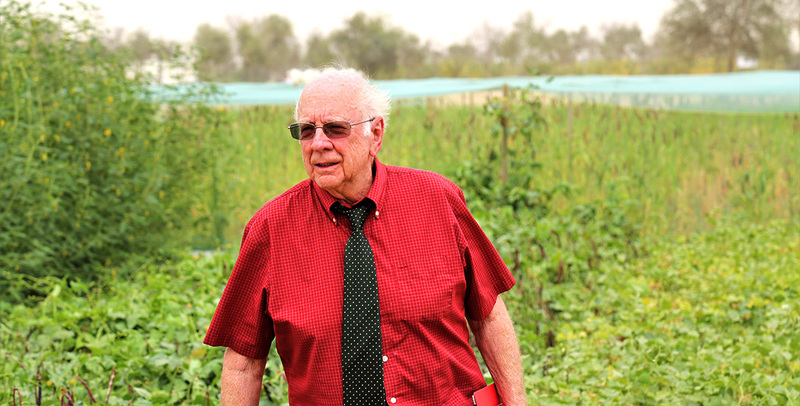 “It is a great opportunity for our scientists to learn about the UAE’s agricultural history through the eyes of Dr. Merle Jensen. I would like to thank all the organizers for making this visit possible,” Dr. Ismahane Elouafi added. 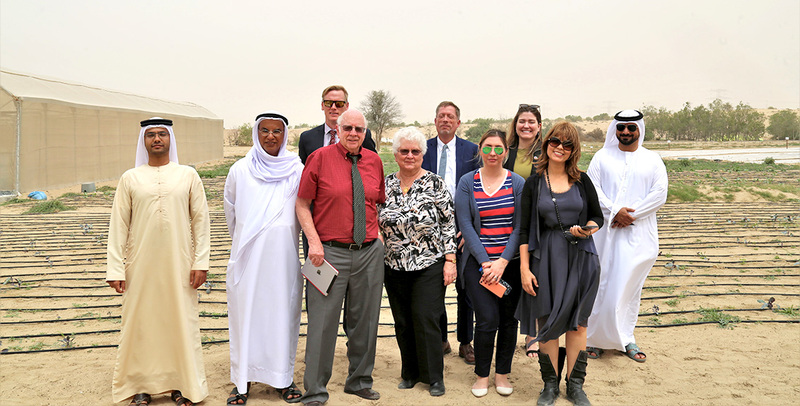 Dr. Merle Jensen’s visit to the UAE marks the 50th anniversary of the establishment of the Arid Lands Research Center in Saadiyat Island, a research center commissioned by the late Sheikh Zayed to explore agricultural innovations in the desert.